"Modern Farmhouse" perfection just blocks from "Pearl Park". Main and Upper levels all new construction 2013-2014 featuring every stunning design feature for today's lifestyle. Enormous fenced yard where you can enjoy magical sunsets on Diamond Lake. Upper level studio could be additional bedrooms or family room. White Oak hardwood floors, Caeser Stone, elegant bathrooms, fabulous outdoor entertaining and attached two car heated garage are just a few of the notable amenities. Rare opportunity! I was searching for a Property and found this listing (MLS #5130179). I would like to schedule a showing for 5820 Portland Avenue S Minneapolis, MN 55417. Thank you! I was searching for a Property and found this listing (MLS #5130179). Please send me more information regarding 5820 Portland Avenue S Minneapolis, MN 55417. Thank you! 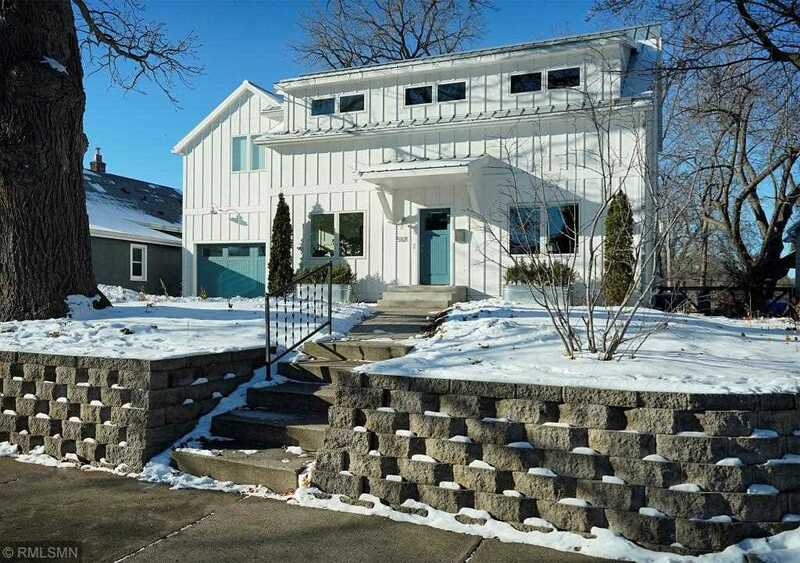 MLS # 5130179: This property at 5820 Portland Avenue S, Minneapolis, MN 55417 is located in the Diamond Lake subdivision and is listed for $737,000. MLS # 5130179 has been on the market for 95 days.